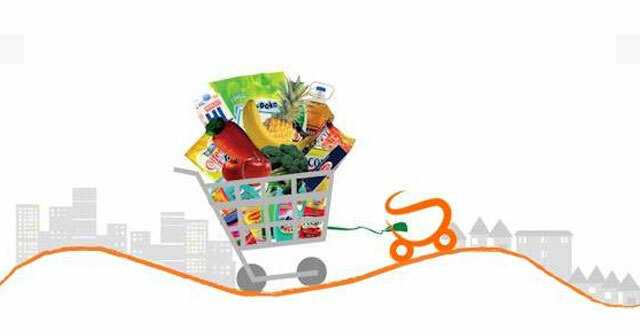 Online grocery retailer Satvacart has raised about $1.8 million (upto Rs 12 crore) in its second round of angel funding from a bunch of unnamed high net-worth individuals (HNIs). Existing investor Palaash Ventures, a Delhi-based early and mid-stage VC firm, also put money in Satvacart, which is owned by Satvacart Innovative Concepts Pvt Ltd. The Economic Times, which first reported the development, said the funding was led by three senior executives in the insurance, telecom and investment banking sectors. The money raised will be used for technology augmentation and team expansion, Gurgaon-based Satvacart said in a press statement. "We are extremely happy with the closure of angel round two which involved our old investors as well as HNIs as new investors. The fund raised in quick successions highlights the confidence that investors have posed in our business model," said Rahul Hari, founder of Satvacart. The startup had raised an undisclosed amount in angel funding from Palaash Ventures and a group of investors in July this year. It is now talking to institutional investors for Series A funding. The company was founded in January 2015 by Hari, an IIT BHU graduate. He also has an MBA from the Canada-based Queen's School of Business. Previously, Hari worked with companies such as Cleartrip and NetApp. Satvacart follows a hybrid business model. It sources from neighbourhood stores in addition to stocking its own inventory. Satvacart would compete with larger grocery marketplaces such as PepperTap, Grofers, ZopNow, Jugnoo and others. Inventory-led firms such as EkStop (a Mumbai-based e-grocery which was acquired by Godrej Nature's Basket), BigBasket and LocalBanya can also be counted as Satvacart competition. Techcircle.in had reported recently that online supermarket LocalBanya.com was shedding staffers as it prepares to alter its business model. The company may shift from its inventory-led, warehousing-centric model to become an online marketplace for groceries. SoCoMo Technologies Pvt Ltd, which runs on-demand delivery services startup Jugnoo, recently raised fresh funding from mobile wallet and e-commerce marketplace Paytm. In August, iOrderFresh, a mobile-first food and grocery retailer, secured an undisclosed amount in seed funding from Best Foodworks Pvt. Ltd. However, it noted that e-tailers globally have struggled to develop a successful business model for food and grocery, which, according to a 2012 research report, constituted a mere two per cent of e-commerce even in a mature market like the US. In India too, the consultancy believes, e-commerce would be driven by non-food categories. Palaash Ventures Pvt. Ltd. Satvacart Innovative Concepts Pvt. Ltd.